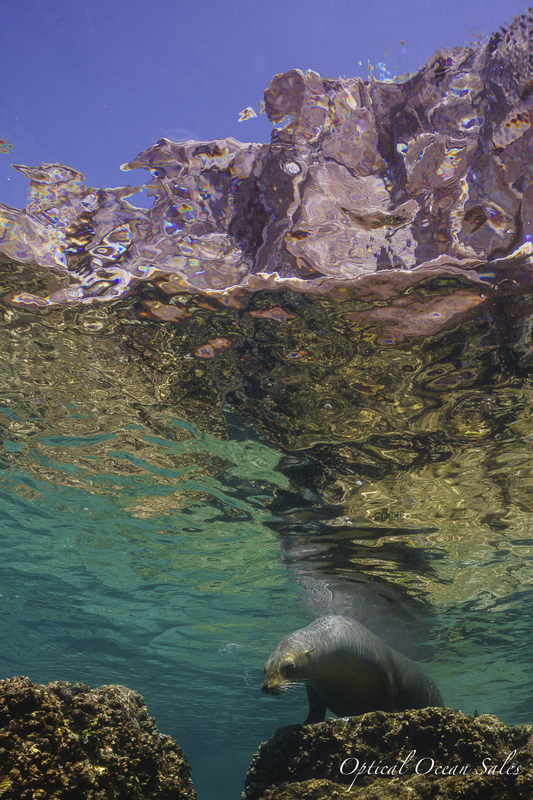 On our recent shop trip to The Sea of Cortez, I left behind my trusty, but large, D800 Nauticam rig and decided to try a new mirrorless camera: The Sony a7 full-frame camera in a NA-A7 Nauticam housing. It was much smaller to pack and handle and the results were better than I hoped for. The Sony a7 with an old Nikonos 15mm FE amphibious film lens shot remarkably well, sharp and was quite small to handle compared with large domes normally used for a full-frame rig. The Sony a7 (and a7r, a7s) are very impressive; the first full-frame camera in a mirrorless body! With it being much smaller and lighter than the D800, it was easy to carry around. Performance was very good, the camera is very comfortable and solid to shoot. The controls to change ISO as well as other features are right under your fingertips on the Nauticam housing. One big advantage of the Sony over the Nikon is that you can program several function buttons and use them on the housing to bring up other screens providing convenient access to various functions that otherwise are buried down in the menus. 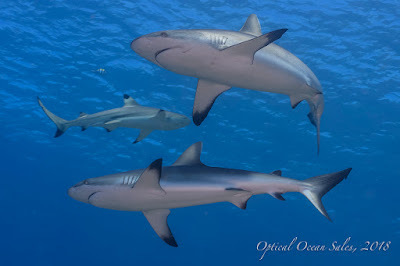 Besides the Nikonos 15mm FE, I shot the a7 with the kit Sony 28-70mm lens behind the Nauticam flat port. This lens works pretty well as a moderate mid-range lens, fairly sharp for it’s modest cost, with good imaging characteristics. 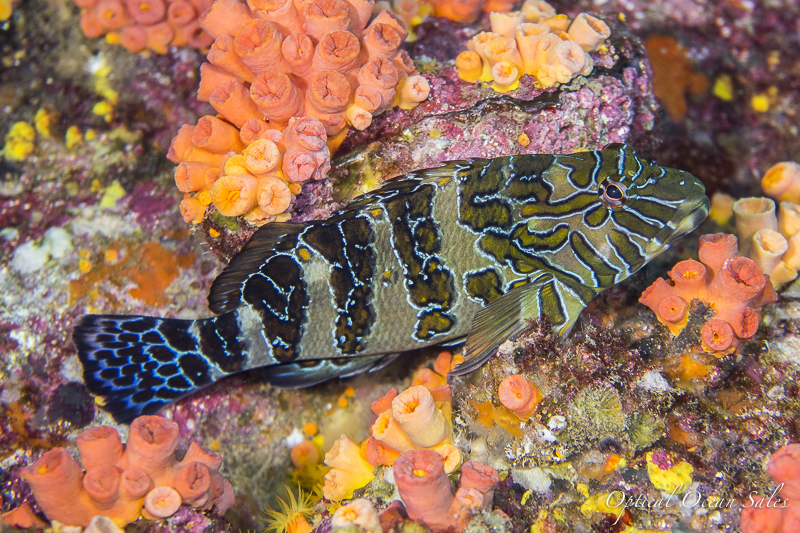 In low light at deeper depths, I was still able to catch focus and it shot fish portrait type shots quite well. The legendary Nikonos 15mm FE film lens, mounted in an adapter, lived up to it’s reputation. It delivered stunning wide angle, even though it has manual aperture and focus controls. external Nauticam 180 viewfinder to good result with a wide range of displays offered in both. A nice feature of the electronic viewfinder was that you could turn the image lighter or darker, something you can’t do with the optical viewfinder of the D800. One area where the Sony a7 was a standout is shooting at high ISOs in dark environments. 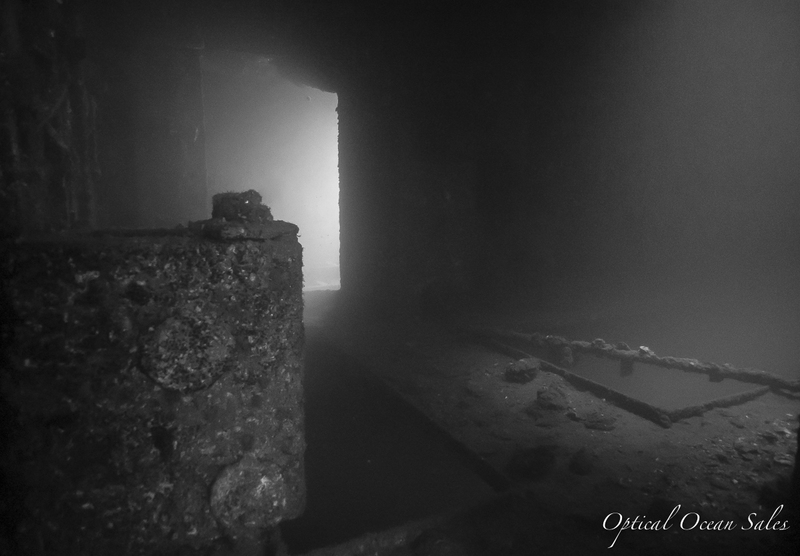 I shot the very dimly lit holds inside of the Fang Ming wreck at ISO 3200 and got good results, even with the older Nikonos 15mm lens. Not much noticeable grain, and I’d say it was better at that high ISO than my D800 was at ISO 2000. Dynamic range was pretty good, comparable to the Nikon. I shot it with two electronically synced Sea & Sea YS-D1 strobes in manual. TTL is not currently available, although Nauticam has come out with a new optical sync trigger that simplifies things quite a bit. 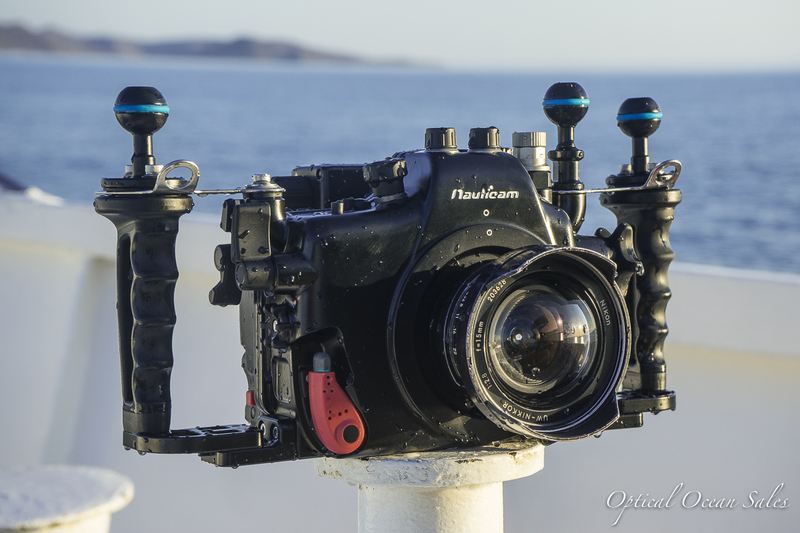 We shot the Olympus E-M1 with the Panasonic 8mm and Olympus 9-18mm lenses quite a bit in an Aquatica AQ-EM1 housing. (We hadn’t brought any macro lenses, expecting to be shooting all large animals.) The 9-18 behind Aquatica’s new SW8 dome was quite impressive, allowing for a nice range of focal lengths from close-focus wide angle to more moderate shots. It was very balanced and rugged, with easy to reach controls. Port and lens changes were easy, and the cam latch made access to the camera literally a snap. Right now, if you don't need the extremely high ISO shooting characteristics and dynamic range, I think the OM-D E-M1 is a more mature platform with a lot more lenses to choose from. It has easy to use functions and is easy to shoot well and is less expensive. The D800 has many more lenses available and with the new D810 coming out with even better low-ISOs and other features, I’d give it the edge over the Sony a7. but it is a much larger, heavier system to use, and the Sony a7 was easier to swim with than my D800, certainly for free diving. The same adavantage goes to the D800 for availability of lenses, even more so as it can use old Nikon film lenses that are comparably cheaper than the new Zeiss Sony lenses. I think the Sony a7 will come into it’s own as new Zeiss and other third-party lenses come out, and it certainly sets a precedent for smaller, lighter professional level cameras to come. 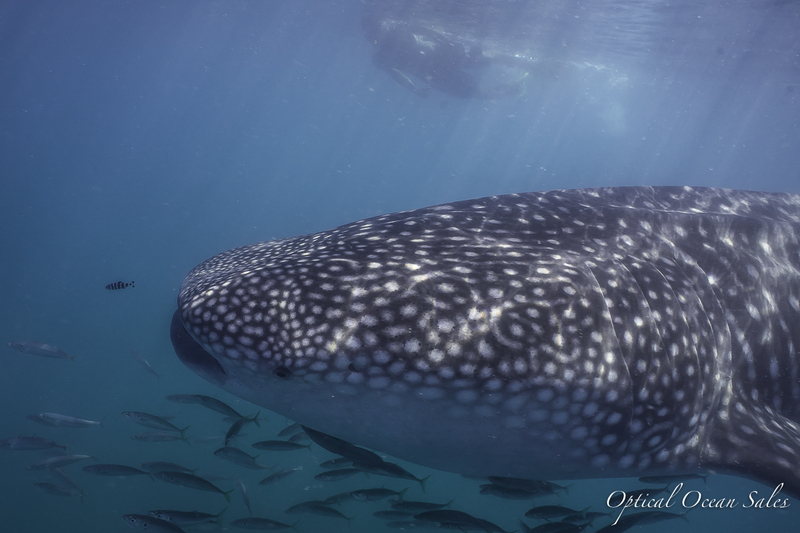 Join Us for Humpbacks, Sharks, Mantas & More!